As part of the larger NextCare Urgent Care, this clinic has affiliates with the closest other clinic being in Merriam about 8.2 miles away and is open today from 8:00am to 5:00pm. 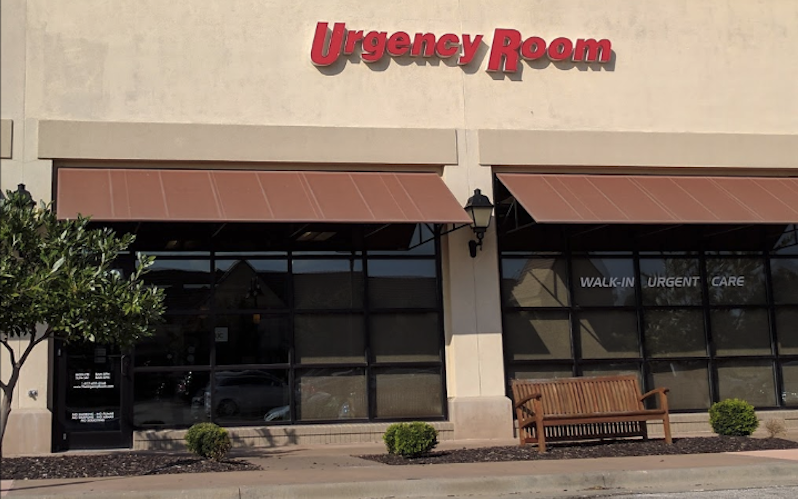 Recognized favorably amongst their patients, The Urgency Room, Overland Park has an average rating of 4.8 stars out of 5 based on 571 total ratings. The Urgency Room accepts many major insurance plans and multiple forms of payment, making it easier to get the affordable care you need. It is always a good idea to contact your insurance company before your visit to ensure the Clinicis in network for the service(s) you're seeking. Very attentive staff and I was given good information on next steps to take and what to expect. I made an appointment around 30 minutes before I knew I could be there. Really nice facility. Very friendly staff. Got my ear infection confirmed and picked up meds on my way home. Have been very helpful over the years always makes me feel safer knowin they are there. Kristen and the rest of the staff were great! They were knowledgeable and empathetic to what I was feeling. I would definitely tell others about this office! Nurse practitioner and assistants are awesome- always in a out quickly they a beyond friendly and the reason i always come back . Kim i think is her name the lady at the front desk, by far one of the worst individuals I’ve ever encountered in my life. You can tell that she is unhappy in her life and projects that in her work. She should take time off and come back with a warm smile and good energy. She may be bored because you don’t get a lot of traffic but she should speak in a way that makes customers feel appreciated and welcomed. Thanks for you! Even it’s Sunday, you put on a nice smile! Very good service and detailed info on diagnosis. In and out quickly. Diagnosed and prescriptions sent to pharmacy, all within an hour. This was a follow up visit for me, I had previously seen the Merriam location and had a terrible experience. Kristin completely made up for it. She made me feel heard and like she had my best interests in mind. Even though this location is much farther for me I will only be going to this location from here out. I cannot say enough great things about them! I really appreciate that they saw me close to closing when I was short of breath from an infection. Very professional, thorough, and understood how I felt. We love Kristin Hancock! She is the best! In and out in the matter of no time. So sweet and caring. Cant say enough great things about urgent care. Kristin is awesome. I would highly recommend her. She is on top of everything and has an incredible bedside manner. The x-ray tech that was assisting was also great. Thank you so much for everything.